10pm is the official start-time for the event. There are 11 films in this summer’s Mutant Shorts, so should be a good show. €5 at the door, see ye there! The 3rd Mutant Shorts event was a great success, with short films of all sort using the sitting-room setting in any way possible, from a chair in the outdoors to the good old-fashioned sofa. The films were judged by Maximilien LeCain of Cork Film Centre and Dan O’Connell of Egomotion. The winning film was Flipping Channels, directed by Fiona Riordan, and starring Cethan Leahy, Fabian Sweeney and Catherine Crowley. 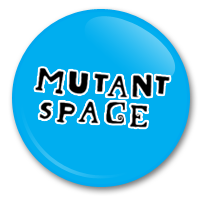 You can view the winning film here at the MutantSpace Vimeo Channel. A special judge’s prize was also awarded to Hilary Williams for her piece, Living Rooms.